Alpena Fish Co., Alpena, MI. 1891, Jun 11 Enrolled Port Huron, MI. 1908 Sold Canadian, C126001, 80 x 21 x 7.25', 98 gross / 66 net tons; worked for Gilchrist Transportation for several years. 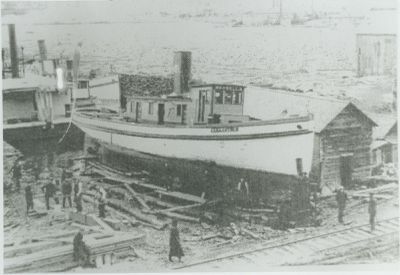 1915 Burned at Port Burwell, ONT.